It can be difficult growing up in the shadow of your namesake. For Denílson Pereira Neves, formerly of Arsenal, the legacy of Denílson de Oliveira Araújo perhaps brought unfair expectations. Denilson the Elder, as we’ll call him, played in two World Cup Finals and was at one time the most expensive player in the world when he was signed by Real Betis for £21.5 million in 1998. Denilson the Younger has never received a senior cap. Incidentally, both players began their careers at Sao Paulo. The Younger joined Arsenal at the age of 18 for a fee of £3.4 million in August 2006, although the move was somewhat overshadowed by the loan signing of compatriot Julio Baptista from Real Madrid on transfer deadline day. Having played just 374 minutes for Sao Paulo, Denilson arrived as something of an unknown quantity. Even Brazilian commentators questioned the move; “He had played only a few times for his club. He was discreet, he never stood out. I only saw him a couple of times; he was basically a reserve,” said Tostao, a member of Brazil’s 1970 World Cup-winning side. Arsene Wenger offered an intriguing description of what the young Brazilian might have to offer, stating that Denilson was “a little bit in between Tomas Rosicky and Gilberto”. 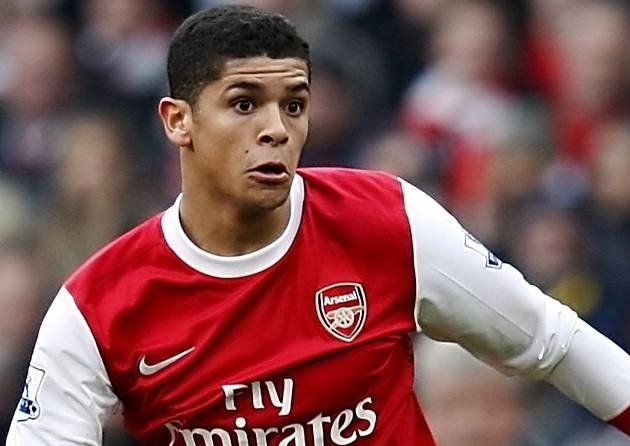 Like many young players at Arsenal, Denilson cut his teeth for the club in the League Cup. He played every game in 2006-7 run that took them to the Final, only to suffer defeat at the hands of Chelsea. During this campaign, Denilson proved a dynamic midfielder capable of playing a number of different roles. This included a deep, defensive position that suggested he might be a long-term replacement for Gilberto Silva. Indeed, Gilberto was something of a father figure to Denilson in a briefly established Brazilian clique that also included Baptista. The trio would visit each other’s houses for meals and even music sessions, as seen in this brilliant video. The following season, Denilson impressed again in the early rounds of the League Cup. His performances and goals against Newcastle and Sheffield United hinted that there might be more flair to his game than first thought. However, as his appearances in the League became more frequent, it became clear that Denilson was indeed being shaped in the mould of Gilberto Silva, as a defensive midfielder who could tackle and distribute. It was during the 2008-9 season that Denilson played most frequently for Arsenal. In fact, he made the most appearances out of any player at the club that season – 51 in all competitions. He could be effective, especially when partnered with Cesc Fabregas, but he was never spectacular. Stats showed that Denilson’s pass completion was one of the best in the League. However, as the joke went, this wasn’t much of an achievement if most of your passes were played behind you or to the side. Readjustment to life back in Brazil was perhaps harder than anticipated; the first Arsenal fans heard of him was that he had been sent off twice in his first three matches. This had then escalated into a Twitter row with the Sao Paulo faithful. There was some respite for Denilson soon though. He helped his club to win the Copa Sudamericana, having won no silverware at his time at England. Ultimately Denilson came to define an era at Arsenal – those transitional years in a new stadium, where purse strings were at their tightest. The club settled for his mediocrity because it had to; the departures of big names and injuries to more talented youngsters meant that Denilson made far more appearances at Arsenal than he would have done for other clubs of a similar stature. Like Gilberto, he wasn’t a Brazilian in the traditional Samba mould but he always did what was asked of him at the club. This entry was posted in The Samba Series and tagged arsenal, brazil, denilson, samba series, sao paulo by Hugo Greenhalgh. Bookmark the permalink.